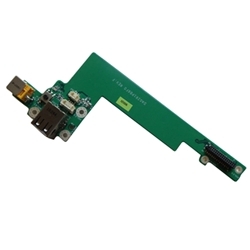 Description: New genuine Acer power button board with dc jack and usb ports. This may be the repair part that you need if you have a broken pin or a notebook power issue. Part #'s: 55.AXE07.002, 55AXE07002, 55.TDY07.002, 55.TDY07.001, 55TDY07001, 55TDY01002, DA0ZR1PB6D1, DAOZR1PB6D1, DA0ZR1PB6E0, DAOZR1PB6EO, DA0ZR1PB6F0, DAOZR1PB6FO, DA0ZR1PB6C3, DAOZR1PB6C3. Acer Aspire 3050, 3680, 3690, 5050, 5570, 5570Z, 5580, TravelMate 2480, 3260, 3270.